Are you looking for a Napa Valley Car Service? Are you ready for a fun, exciting and memorable experience of sipping wine in California’s wine country? Do you want to ride around between wineries in style? Then call Bay Area Car Service for one of our Napa Valley Wine Tours. Our Napa Valley Car Service provides the exceptional car services in the Bay Area at a competitive prices. We are a more affordable alternative to taxis, limos and town cars. Our Napa valley car service staff is committed to providing our customers with excellent service, 24 hours a day, 7 days a week – ensuring you get to wine country with more time to experience all the Napa Valley has to offer. With 24 hours’ notice, we will pick you up and whisk you around to some of the best wineries in not just the United States, but the world! You won’t have to worry about driving at all with our professional chauffeurs behind the wheel. 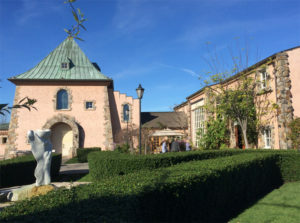 Instead, you can focus on the world-class wines and having a fantastic trip through beautiful Napa. 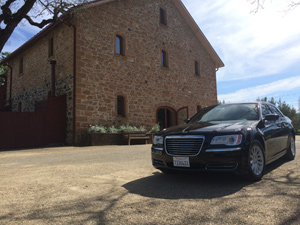 Ride in style with our Napa Valley Car Service! Arriving at San Francisco International and need a ride to your home, hotel or office – or straight from the airport to wine country? Our courteous chauffeurs will meet you at the terminal, pack your bags and get you where you need to go – safely and quickly. Forget the nightmare of trying to remember where in the airport’s parking lot you left your car – your Bay Area Car Service chauffeur will find you and whisk you off to your destination! Our Napa Valley car service provides peace of mind – you’ll know that there is someone waiting for you when you land, who will get you to your home, conference, convention or vacation retreat with no hassle. With our Napa Valley Car Service, your entire trip – from arrival at SFO, to exploring the Napa Valley and wine country, and back for your return flight – can all be chauffeured by our Napa Valley Car Service. You won’t have to worry about getting to the airport on time, even if you are leaving straight from the winery. Our dependable Bay Area car service to SFO will get you to your flight on time – every time. When you ride with us, our chauffeurs are committed to not making you miss a flight. 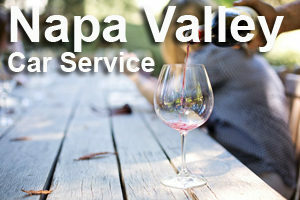 Don’t stress, book our Napa Valley car service today! If you are from the Bay Area and flying out, using Bay Area Car Service means no more stressing about whether your car is safe in the long term parking lot and the costs associated with it being there. Skip the nightmare of remembering where to park, wondering if your car is safe in the airport parking lot. You will arrive with plenty of time to spare, letting you relax while checking in, giving you peace of mind that you won’t miss your flight, even after slogging through airport security! Sit back and relax. We’ll drive you to the airport, free of any hassles and giving you just a little more of your Napa Valley vacation time – or time to practice that speech for your business meeting. Making reservations at least 24 hours in advance means never having to wait on a taxi. Our experienced, professional and friendly chauffeurs will pick you up where and when it is convenient for you – day or night – dropping you off directly at the airport terminal, hotel, winery or vacation destination safely and quickly. Our Napa valley car service is a private, direct ride to the airport. That means no waiting for other customers and their luggage or picking up other groups – and no waiting on the driver trying to puzzle out how to fit everyone else’s luggage in the car. Need to go somewhere other than the wineries? Our Napa Valley Car Service will ensure you arrive safely at your destination. If you need to go even further afield, Bay Area Car Service offers a full Bay Area car service. Traveling alone, with your family, or in a group, for business or pleasure, Bay Area Car Service can accommodate your needs, providing a clean ride and a friendly chauffeur to most parts of the San Francisco Bay Area. Ready to make a reservation? Call 1.800.380.9788 and let us know where and when to show up! Try our Napa Valley Car Service today and get ready for the wine-tasting vacation of a lifetime!